The world's most famous arena hosts the last game of the world's second-most famous college basketball tournament on Thursday night, when George Washington faces Valparaiso in the NIT championship. The championship game pits the Atlantic 10 against the Horizon League, as the Colonials and Crusaders vie for a pretty nice consolation prize after missing out on the NCAA Tournament. It'll be the last college game for George Washington seniors and multiyear starters Patricio Garino, Kevin Larsen and Joe McDonald. It'll be the same for Valpo guards Keith Carter and Darien Walker. It's not the Final Four, but it should be an emotional night at Madison Square Garden. tournament, relegating the Crusaders to the NIT. Valpo is a No. 1 seed and has beaten Texas Southern, Florida State, Saint Mary's and BYU to reach the final. No. 4-seeded George Washington has wins against Hofstra, Monmouth, Florida and San Diego State. The Crusaders are a 2-point favorite, likely owing to their elite defense. They rank sixth in the country in adjusted defensive efficiency, a ridiculously high mark for a non-NCAA Tournament team. George Washington has a top-30 offense by the same metric, however, so a high-scoring game seems to favor the Colonials. 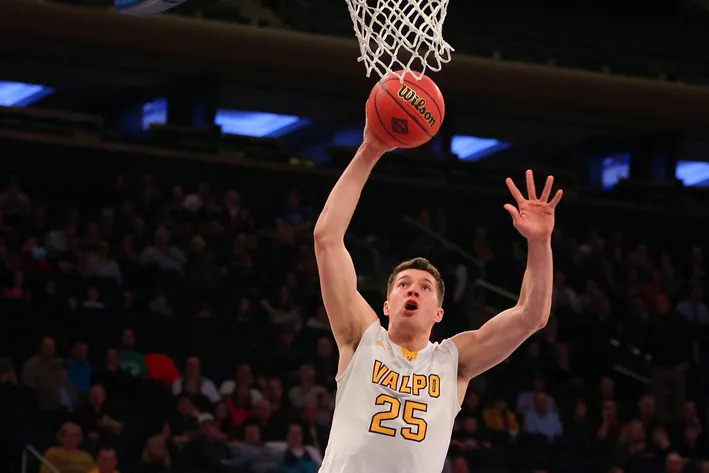 But Valpo also has a few players who can score, led by 18.4 points per game from dynamo Alec Peters, a power forward who can step out and shoot 44.5 percent from deep. This should be good.